Son of a Moravian mother and an Hungarian father. After he heard the Wilhelm Tell Ouverture when he was seven years old he wrote it down at home from memory. In 1866 he entered the Conservatory in Vienna. He was very good at both the piano and the violin. He worked as a violinist from 1872 until 1877 and in 1874 he played the violin when the Foundation Stone for Richard Wagner's Festspielhaus in Bayreuth was laid. After working with the Vienna Court Orchestra he became assistant conductor at the Opera in Leipzig in 1878 and soon he became its leading conductor. He conducted both "Die Walküre" and "Tannhäuser" by Wagner. In 1889 he went to Boston to become conductor of the Symphony Orchestra (until 1893). He worked in Budapest from 1893 until 1895. Then he succeeded Reinecke as conductor of the Gewandhaus in Leipzig and at the same time Von Bülow at the Berliner Philharmoniker. He combined these posts until his death, travelling between the two cities. In 1897 he also succeeded Von Bülow in Hamburg. He was especially famous for conducting the works of Bruckner and Tchaikowski. Nikisch married the Belgian singer Amélie Heusner (1862-1938) and their son Mitja (1899-1936) became a pianist. In 1971 the city of Leipzig named a music prize after him. 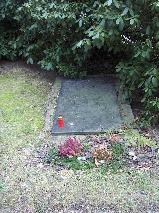 The grave of Arthur Nikisch at the Südfriedhof, Leipzig.